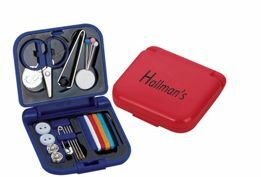 Register with Hallman's Tailor now for a free travel sewing kit! There is a limit -one per household. Your kit will arrive in 4 to 6 weeks. Available while supplies last. Click the link below to go to the Hallman's Tailor website to sign up for this free kit.